The Dumps Adventure Playground was opened in 1975 and is named after the local council dump that previously occupied the site. After the council stopped using it, local parents cut a hole in the fence and occupied the site and after many protests claimed it as an adventure playground. The Dumps is one of the few adventure playgrounds in London that keeps chickens, rabbits and hamsters. 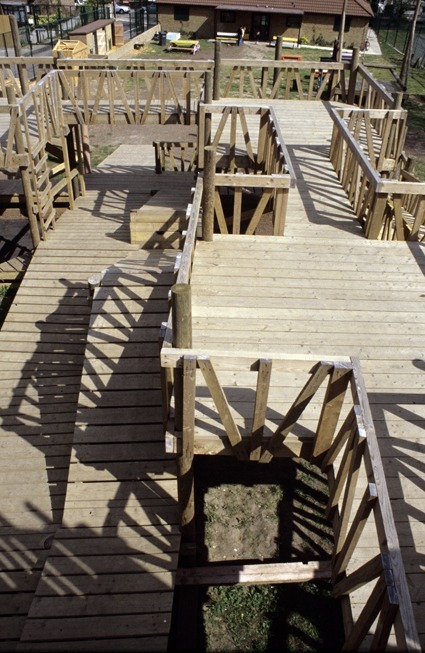 The playground was last visited and photographed in 2003.